Are you in the market and looking for the cheapest family cars to own? You might wonder where in the world to start, with so many makes and models out there. We’ve found that one of the best ways to calculate the cheapest new and used cars to own is to utilize a tool from Edmunds, the True Cost to Own (TCO) pricing system. TCO is easy to use. Simply select the make, model, year and style and the pricing system will show you the summary and details on a five-year cost to own. These details will include depreciation, financing and maintenance costs. Naturally, you’ll need to factor in costs for fuel, insurance and repairs, and any costs for taxes and fees separately. 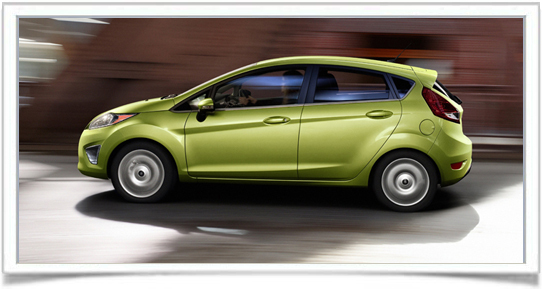 Still, it’s a quick way to get an overview of the particular used car you’re looking to buy. In the meantime, we’ve gathered a few examples of some of the cheapest family cars to own, based on cost of ownership data available through several sources. good choice for family transportation. It’s fun to drive, has excellent build quality and offers features that are unexpected for the price and fuel economy rated by the EPA at 28 mpg city/37 mpg highway. Edmunds shows the MSRP from $13,200 for the 1.6-liter four-cylinder S Sedan with five-speed manual. The five-year TCO is a respectable $33,375. cylinder LX sedan with five-speed manual transmission. Over five years, the estimated TCO is $41,050. How does the Accord stack up as a family car? With seating for five, there’s ample passenger space, good fuel economy with the four-cylinder engine (EPA-rated at 23 mpg city/33 mpg highway), excellent visibility and resale value. Downsides are road noise that can be somewhat intrusive, middle-of-the-road interior quality, and seats that tend to be a bit uncomfortable. 2011 Volkswagen CC – Moving upscale a bit, the 2011 Volkswagen CC midsize family sedan is stylish inside and out, well-equipped, and has a fuel-efficient turbo four-cylinder that gets 21/31 mpg city/highway fuel economy. Note that the CC seats only four for 2011 (five seats are in the 2012 model), and the trunk is a little on the small side. Edmunds lists the MSRP from $28,200 for the 2.0-liter four-cylinder turbocharged Sport Sedan with six-speed manual transmission, while the five-year TCO is estimated at $49,806. 2011 Subaru Outback – In the Wagon $25,000 to $35,000 category, the 2011 Subaru Outback offers family car buyers cargo space that beats crossovers, a comfortable ride, excellent safety scores, good visibility and spacious interior. The Subaru Outback, with an MSRP from $23,195 for the 2.5-liter four-cylinder 2.5i with standard all-wheel drive (AWD) and six-speed manual transmission, also has an estimated five-year TCO of $45,849. $50,306. What’s unique about the Flex besides the styling (love it or hate it) is genuine three-row usability and seating for up to seven passengers. 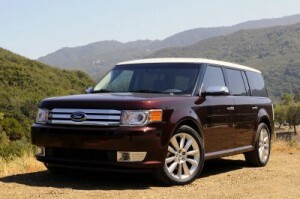 Note that a new Ford Flex is coming in 2013, so a used 2011 Ford Flex may be even more attractive as one of the cheapest family cars to own. In the crossover and SUV segments, Edmunds highlights two vehicles: the 2011 Jeep Patriot, with MSRP from $15,995 and five-year estimated TCO at $38,254, and the 2011 Chevrolet Equinox small crossover with MSRP from $22,995 and estimated five-year TCO of $44,914.